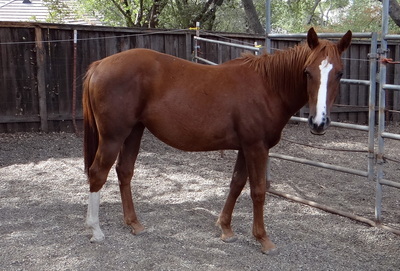 Mazie arrived at AAE in the Fall of 2015 as a yearling. 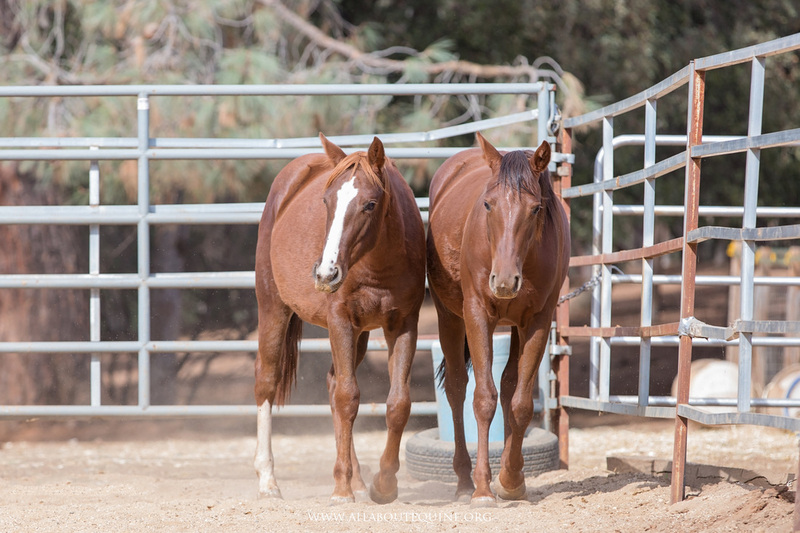 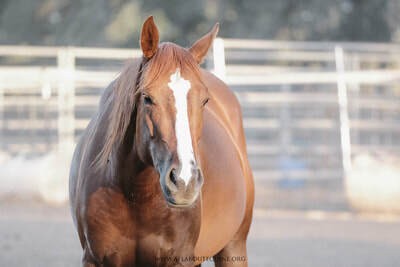 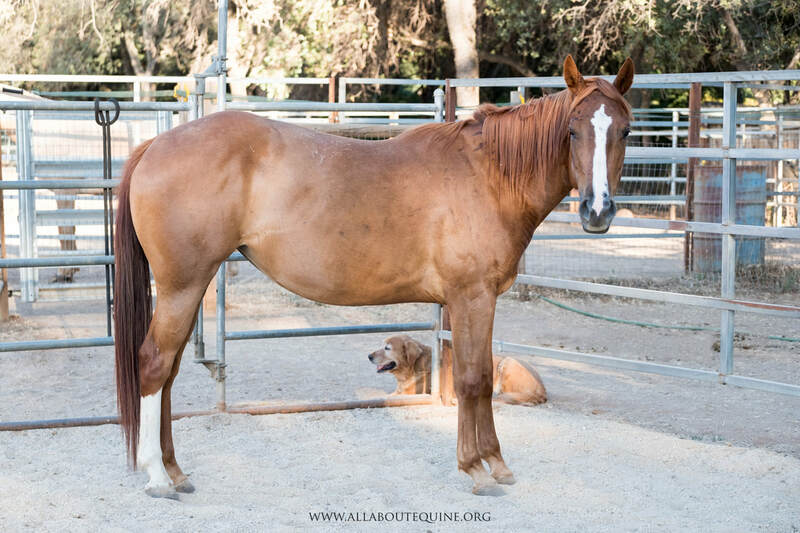 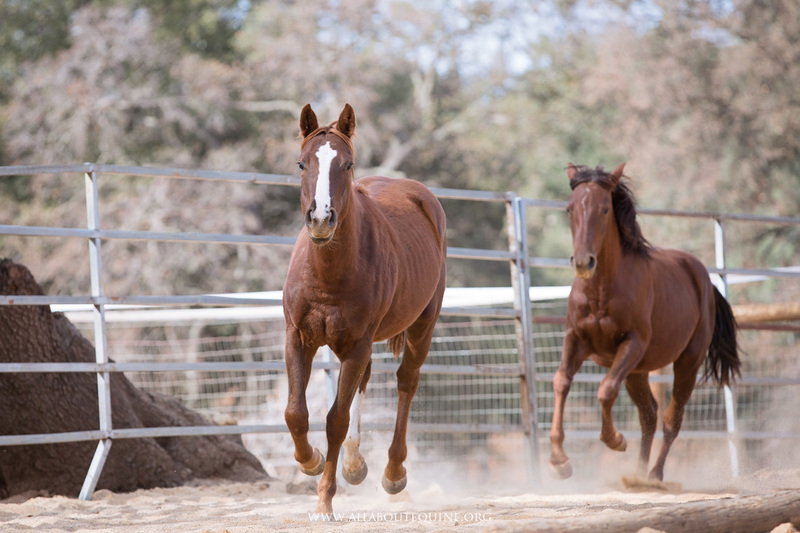 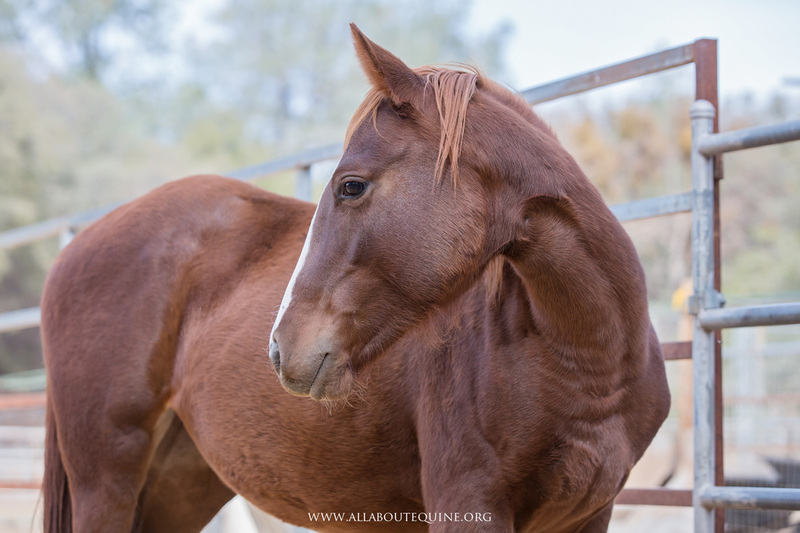 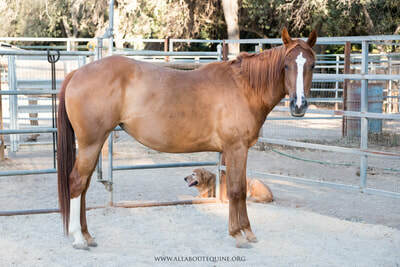 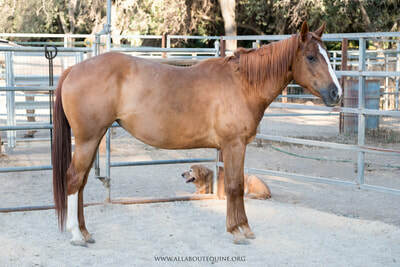 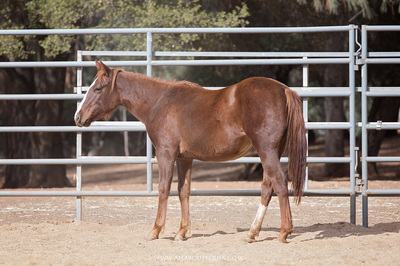 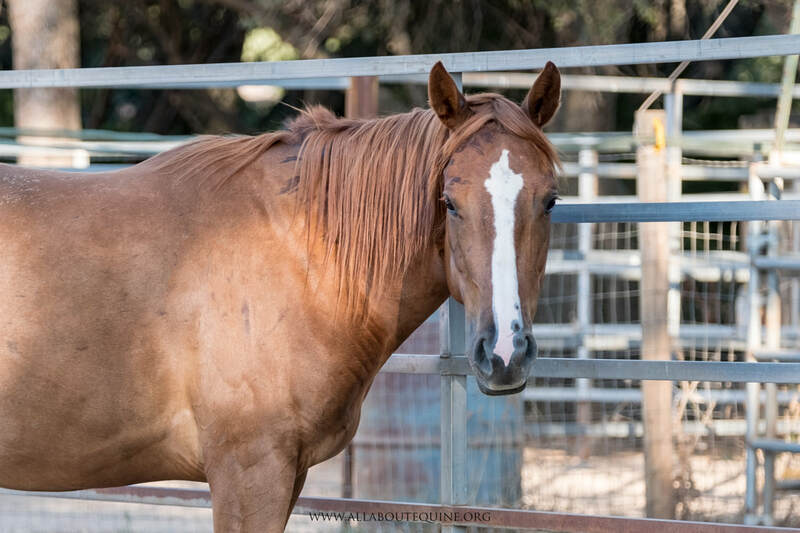 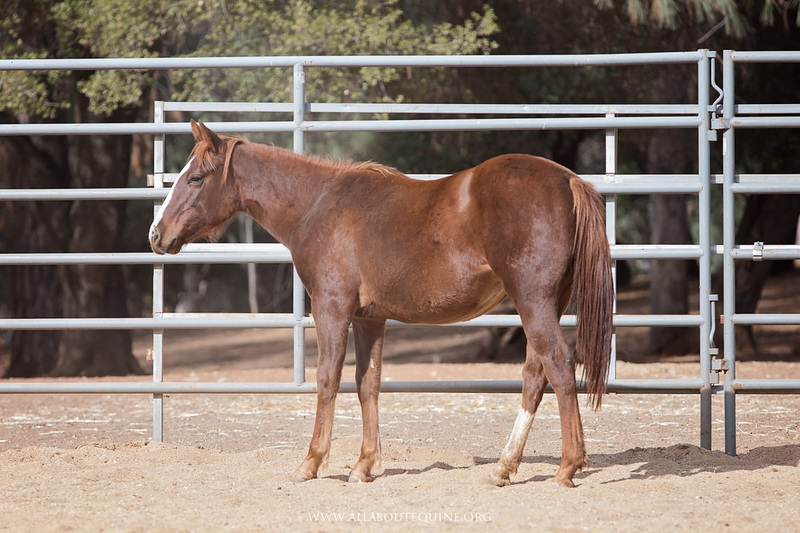 With a nice quarter horse build, she is an athletic young filly and loves to play and chase the younger horses and even the dog out in the pasture. She was halter trained within one session and has proven to have a great mind with a calm temperament. 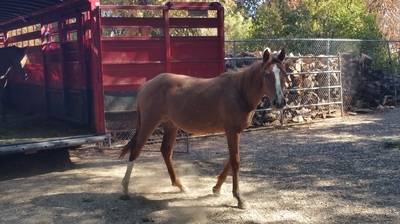 She leads, knows her basic ground manners, picks up all four hooves for cleaning and trimming, and loads into trailers. Mazie recently spent several weeks at the Monty Roberts International Learning Center (MRILC) where she was a project horse for the school's students. 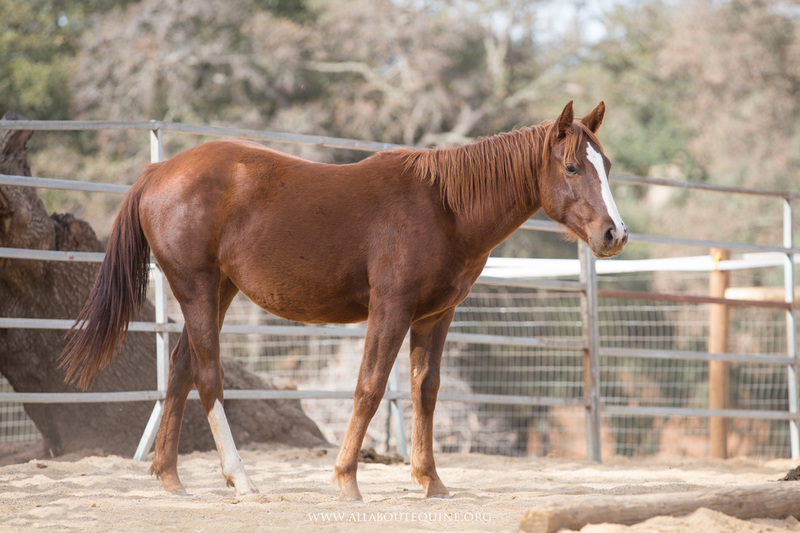 She was worked daily for three weeks, has had a saddle on at various times, and has done a lot of leading and long lining. 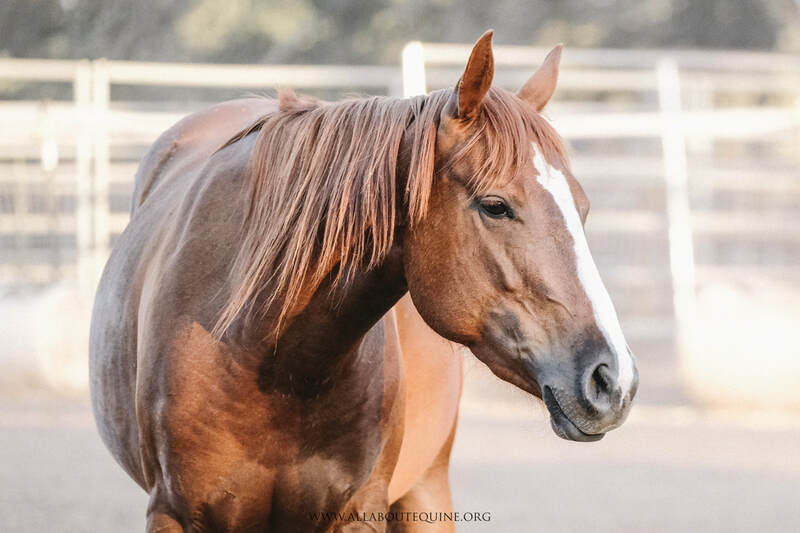 According to one of the handlers at MRILC, Mazie was an incredibly fast and cooperative learner, never forgetting what she had been taught the day before and enjoyed learning new stuff. The students even gave her the nickname "The Amazing Mazie" because she was such a fast learner.